Product #5707 | SKU FXA10216 | 0.0 (no ratings yet) Thanks for your rating! 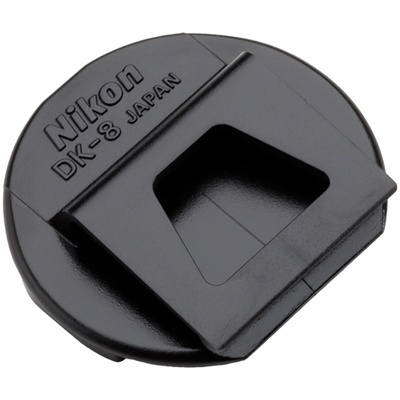 The DK-8 Eyepiece Shield from Nikon acts as an eyepiece blind for the high-eyepoint Nikon cameras that were not equipped with a built-in eyepiece shield. Box Dimensions (LxWxH) 2.0 x 1.9 x 0.6"